WE ARE 100% SOLD OUT! Find your home at a community built especially with the UT Dallas students in mind! Located adjacent to the University of Texas at Dallas campus, Northside offers one-, two-, and three-bedroom luxury apartments designed to give you the ultimate off-campus living experience. Each apartment interior is expertly finished with all the comforts of home. Wood-style flooring, designer cabinetry, and private balconies transport you to a private oasis just steps from campus. With the option of furnished and unfurnished homes, you can bring your own style or save yourself the stress of moving heavy furniture. Private bedrooms make it easy to enjoy the peace and quiet, but open-concept layouts give you plenty of space to hangout with roommates or entertain friends. Take a look at our photo gallery or watch our community video to get a taste of what it means to live at Northside. Step outside to experience even more Northside living. Northside puts you at the center of it all—restaurants, shops, resort-style pool, fitness center, game room, and much more are all offered onsite, so you don't even have to leave home to take advantage of prime retail, choice dining, and exciting entertainment. We've got you covered with other community conveniences including online payments, on-site maintenance, a pet-friendly atmosphere, and everything else you could ever want. Be sure to check out our pet policy to learn more about our animal fees and restrictions. Steps from UT Dallas campus, Northside makes it easy to get to class on time and enjoy on-campus events close to home. Our community is also just minutes from Canyon Creek Country Club, Point North Park, and the George Bush Turnpike, so you can experience all the best of Dallas living without sacrificing your proximity to campus. Contact us today for leasing information and availability at 972-800-5891. We look forward to welcoming you home! 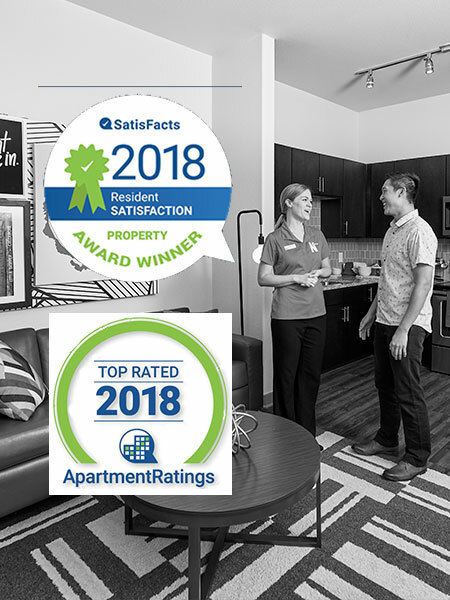 Northside has been recognized by its residents for providing exceptional customer service. Our teams strives to deliver the best living experience and it shows!